Please note: If you have been affected by a storm CMBM offer 24/7 Emergency response. Please remember to stay safe at all times. 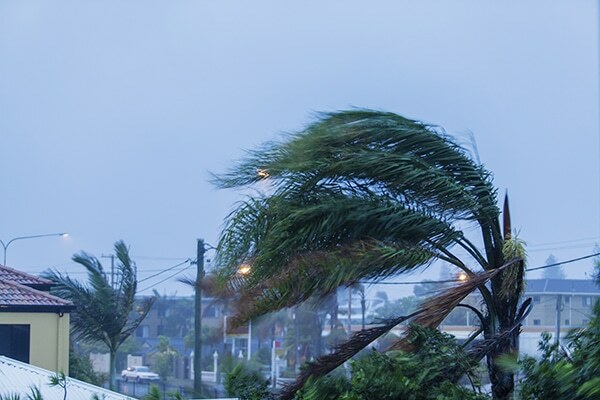 The storms that have recently ripped through Brisbane are stark reminders of the importance of being well-prepared for unpredictable weather. Having a maintenance plan in place for your business will minimise loses and make it easier to recover quickly from a severe weather event. How can you prepare for bad weather? Have you trimmed any tree branches hanging over your roof and car park? Have you secured and cleared your facility of any loose items that may blow around in high wind gusts? Are your gutters and downpipes clear of obstructions? Is your roof secure and in good repair? Do you have skylights which need to be repaired or upgraded? Are your outdoor areas such as decks and patios up to code and in safe working order? Have your floor surfaces been treated with a non-slip coating to minimise slips and falls in wet weather? How can CMBM Facility Services assist you? Grounds and garden maintenance including mowing, slashing, brush cutting, herbicide spraying, weed control, tree lopping, chainsaw works and gutter and downpipe cleaning. Commercial cleaning for interiors and exteriors. Facilities services including non-slip and protective coatings and street sweeping. We can completely project manage your repairs from organising trades people, to the final building clean after works are complete. Insurance claims are no problem.